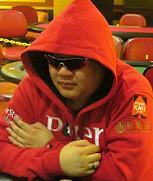 Poker Kaki Forum • View topic - How can I register for the ME if I won the ticket thru PS? How can I claim the ME tix I won from pokerstar satellite? I won an entry via the satellite. So I just need to go to LW and tell them tt I m already registered via the satellites? leondna wrote: LWPS on sept 15. Just go to the 7th floor Treasure Cove and proceed to the registration counter on 15th Sep and present your NRIC No. for verification. Once verified, we will register you for the ME. Hi i have a question too, which flight will the satellite winners be participating in? DeepAnarchy wrote: Hi i have a question too, which flight will the satellite winners be participating in? All the online qualifiers will be playing Flight 1 at 1pm on 15th Sep.
All satellite qualifiers are slated for Flight 1A. 3) Inform counter staff of your Pokerstars ID, and show your boarding pass. 4) Counter staff will cross check your identity with their information supplied by Pokerstars. 5) Counter staff will issue you with a seat card. hmm can I ask if I win a 2nd seat online and I bust flight 1 can I rebuy flight 2? Also is there late reg? EmissaryofTruth wrote: hmm can I ask if I win a 2nd seat online and I bust flight 1 can I rebuy flight 2? Also is there late reg? If you win a second seat online the equivalent USD amount is credited back to your Pokerstars account as T$. Yes you will be able to re-enter in Flight 2 if you happen to bust Flight 1. Late registration for each flight lasts for 2 hours.